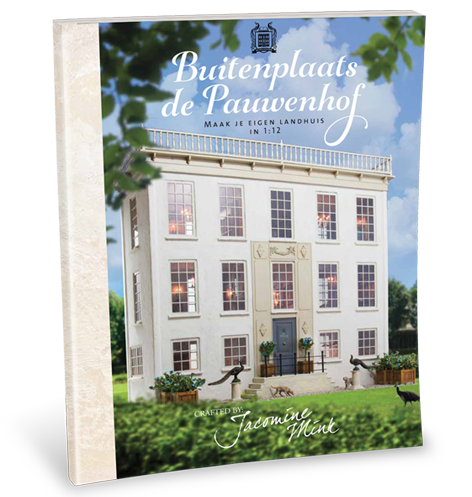 Buitenplaats de Pauwenhof describes the building of a large, upper class country house, with no less than seven rooms. Two kitchens in the basement, an impressive hall, a reception room, a library, and upstairs the bedroom, a nursery and the nanny’s room. I have furnished and decorated all the rooms, in my own style. 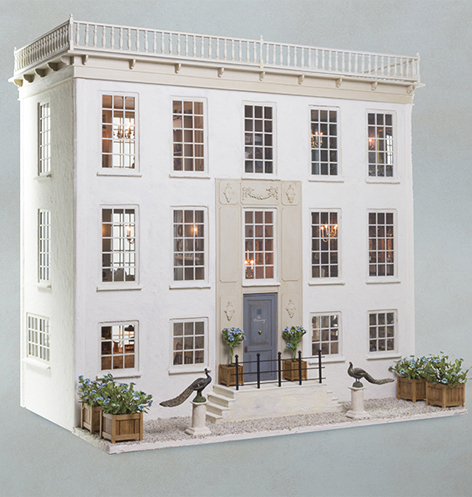 With my book, you can build the whole house, but you can also use the book as source of inspiration for your own house or room. 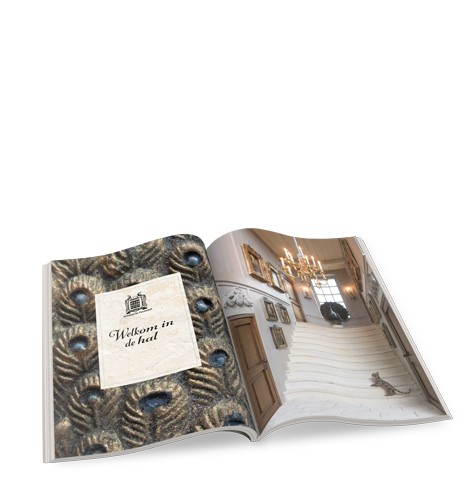 The book explains how to build the house, and a lot of attention has been paid to the panelling of the interior walls. And I also show you how you can easily transform “standard” miniatures into eye catching vintage miniatures. The book is illustrated with many, many pictures, close to 400. Both the exterior and the interior have been photographed, the photos give the impression that you are inside the house. The book has 184 pages, and a nice large size of 28 x 21.5 cms. The price is €27.95 (excl. postage). If you order before September 30, you will receive an extra gift!